Follow the steps below to redirect your PURLs visitors to an existing web page. Switch to Purlem and create a new campaign for your HubSpot integration. 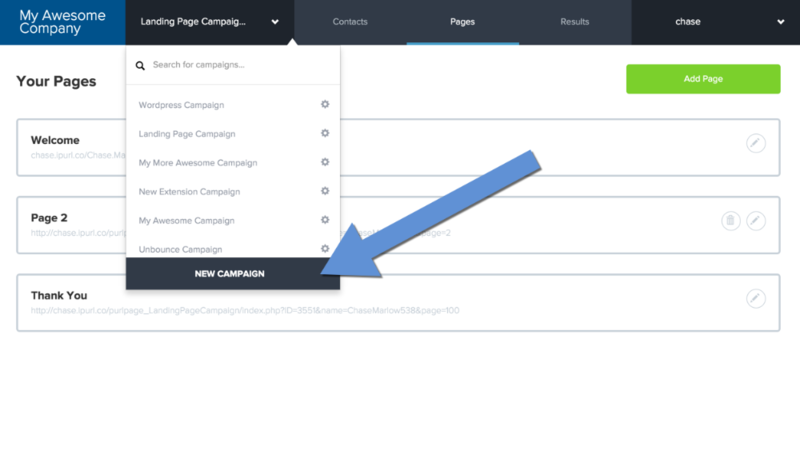 Use the campaign dropdown menu and select New Campaign. Click the Existing Page tab. Give your campaign a name, enter the web page URL that you would like for the PURL visitor to be redirected to, and select "Other." The following Purlem integration code is only required if you would like to your landing page, to the visitor. 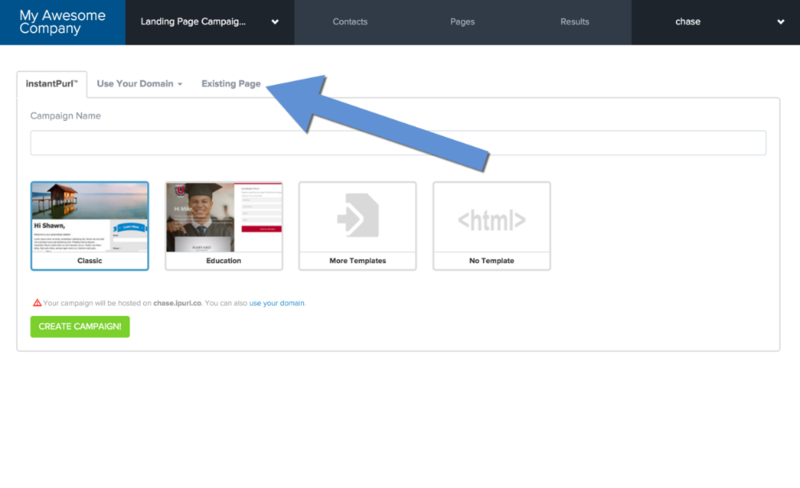 If you don't plan on personalizing the landing page, you can skip this step. Purlem will generate the PURLs using one of our stock domains. If you choose, you generate the PURLs with your domain as well. 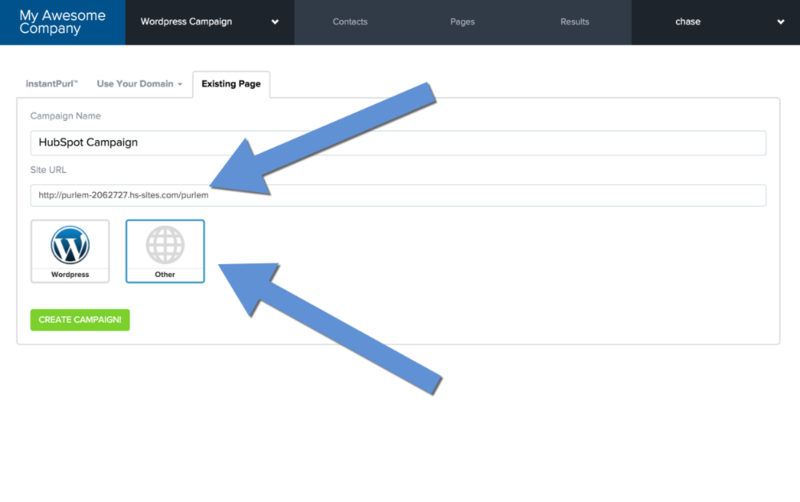 Learn more about transferring a campaign to your domain.